Welcome to my website! 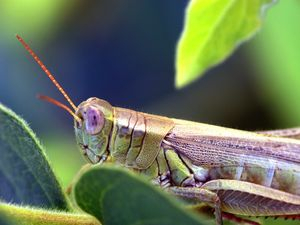 Here is general info about Grasshoppers and some other insects. Enjoy going grasshopper, and be sure to check on how to get into the club. Caitlyn, Me and Rhea are in the club at school and they are going to join online. Remember, just because you register to the site here, doesn't mean you are in the club. You have to be approved by sending in a form to me and then registering on this site. If you prefer to use a chatbox, click the button below. IF YOU SUBMIT A FORM PLEASE REGISTER ON THIS SITE!!! IT IS HARD FOR US TO KEEP TRACK OF WHO SUBMITS WHAT, AND WE HAVE A "NEVER GIVE YOUR E-MAIL AWAY" RULE HERE. IF YOU BREAK THIS RULE AND SUBMIT YOUR E-MAIL THROUGH THE FORM, YOUR APPLICATION WILL BE REJECTED.